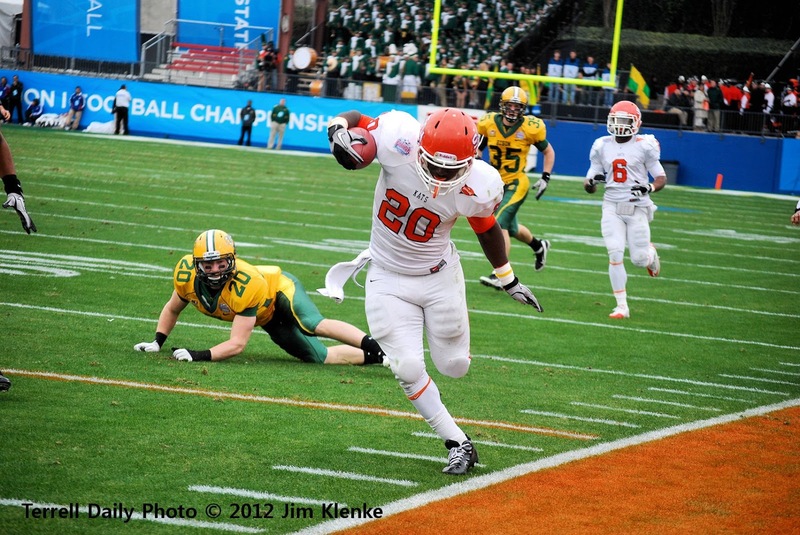 This is Tim Flanders from Sam Houston State during the 2012 FCS Championship game in Frisco. Sam Houston State lost the game to North Dakota State 17-6. The Bearkats get a rematch with the Bison on January 5th in the 2013 FCS Championship game in Frisco. Unfortunately, I will not be on the sidelines for that game. Flanders was named 3rd team FCS All-American this year.